Democratic presidential candidate Joe Biden revealed his health care plan this week that would, "expand access to health insurance and help pay the costs of catastrophic care." Florida health insurance consultant Morgan Moran said, "Biden's plan goes against president Bush, and would help insure the 9 million children now without coverage by expanding the current State Children's Health Insurance Program, also known as SCHIP." Florida Health Insurance Web highlights Joe Biden's health insurance plan in their latest edition of 'ELECTION 2008'. Moran said "the upcoming presidential race will have a huge impact on the State of Florida". After the election, the state's health insurance benefits, and rates, may change substantially . Morgan Moran in a phone interview said the "Biden campaign is backing SCHIP, opening federal health-care insurance options to the general public" and allowing people to buy in to Medicare at age 55. Biden, a U.S. senator from Delaware, feels that "no value that is more cherished by the American people than protecting our children." Joe Biden is the latest candidate to talk about health care on the campaign trail. Speaking at the Families USA Health Care Forum, Biden said, "national health insurance is needed for America to be competitive in the global economy. Biden raked the Republican presidential field for not focusing on health care plans in their campaigns, calling them 'Bush clones' on the issue of health care. "Biden's plan is not a universal health-care plan," emphasized Moran, but is actually "a way for employers to more easily provide health care." The plan has four parts: (1) Cover all Children; (2) Access for Adults; (3) Reinsurance For Catastrophic Cases; (4) Encouraging Prevention and Modernization. Health insurance companies would not be required to pay for anything above $55,000 for catastrophic injuries or illnesses; the government would pay the rest. The Florida insurance consultant said "Biden differs from the rest of the Democratic field because he does not require mandates." By bringing in catastrophic health insurance, Biden says he believes he keeps employers wanting to stay involved (since 60 percent of Americans covered are covered by their business) and health insurance costs lower for the American public. Like Senator Clinton's plan, Biden said illegal immigrants would not be covered. 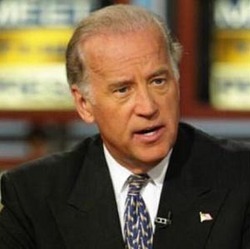 "No undocumented alien would be covered under what I propose here," Like many of his Democratic rivals, Biden's plan costs between $90 billion and $120 billion: $50 billion for catastrophic health insurance; $13 billion more for SCHIP; $18 billion to $20 billion for sliding scale of access to federal employees' health insurance; and $18 billion to $20 billion for those who want to buy into Medicare at age 55. Florida Health Insurance Web is a Florida health insurance consulting service. Find out about health insurance from the experts in a free online or phone consultation. You can get insurance quotes, search rates online by city, read current insurance news and events. Florida Health Insurance Consultants, best rates and free quotes, please contact Morgan Moran @ Florida health insurance web.